Sputnik: What was your reaction to Donald Trump's statement regarding the Golan Heights? How could it affect the situation in the region? It is even more so divisive, isn't it? Prof Gabriel Ben-Dor: Well, I am not sure what is happening exactly because so far we have only had this particular tweet by the US president. No legal, diplomatic formal action has been taken. 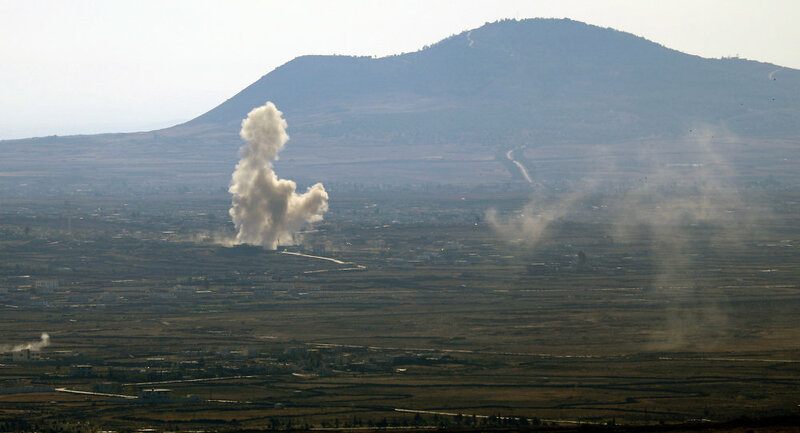 Formal recognition by the United States of Israeli sovereignty over the Golan Heights requires several more steps such as a resolution by the US Congress or at least an official statement by the US government. And none of these has been issued as yet. So, I think that what we have had so far is the declaration of intention of the Trump administration and no particular deed really has taken place as yet. So, let's wait a little bit and see what happens. You should remember that at the moment the Israeli Prime Minister Netanyahu is visiting Washington DC and they might make another declaration which will be more formal and binding. So, we are still waiting and expecting to see whether or not this is happening. Sputnik: Obviously, with regard to the latest reports, the Israeli Army and police are bracing for possible violent protests near the border. What is your expectation? Do you foresee an escalation of violence as well? Prof Gabriel Ben-Dor: Well, not necessary. There will be demonstrations for sure and there will be protests from the Syrians and other international actors in the situation. But I don't think anybody is interested at this particular point in war or anything like that. The Golan Heights have been under Israeli control since 1967 and so the situation really has not changed the last 50 years or so. So, there is no reason for a war and if anything there should be negotiations about settling this issue. And I think there will be the moment the situation in Syria stabilises sufficiently to look seriously into the future. For the time being what you see in Syria is some kind of housekeeping, trying to keep their house in order and get this integrated part of the country together once again in a coherent role. And I think that the future of the Golan Heights is still very, very much unclear. The American move has been a one step towards throwing the whole issue unto the agenda and nothing more so far. Sputnik: I think the interesting thing that has come out in the last few days is this statement by the US Secretary of State Mike Pompeo recently quoting a so-called "deal of the century" between Israel and Palestine. I think the Palestinians have been rather indifferent with regard to this statement. What is known about this plan? I spoke to a couple of experts a couple of days ago, is there anything that has become a bit more clearer as to what this "deal of the century" is and what it involves? Have you got any more information? Prof Gabriel Ben-Dor: No, everybody here is waiting for more information to come. And apparently, the information will come out only after the Israeli elections, which will take place on 9 April. Because there will be necessities for concessions by Israel apparently and I think that the US administration doesn't want to embarrass the Israeli government at this point on the eve of the elections. So, we don't really know the details; we know there will be a necessity for concessions by both sides. My impression is that there is nothing really very new in the plan. It sounds very grandiose and ambitious — "deal of the century" and all that. In practice, I don't think they are going to see anything very creative or innovative. And my feeling is that it is going to die very soon after it is issued. As you have mentioned the Palestinians aren't enthusiastic about it. The Israelis are not dying to make concessions. And the Arab countries, which are supposed to push the Palestinians and pressure them into accepting the deal, I think, are unable and unwilling to do so because they have their own problems. So, I think that the US administration has undertaken a step which is far too ambitious and I think it is a non-starter, to begin with. Sputnik: What could be the consequences for Netanyahu if he agrees to this specific plan then? Is it going to be of benefit for him or things going to be very much the same? Prof Gabriel Ben-Dor: It depends on what the plan is, to begin with, and secondly, whether or not Netanyahu will be a prime minister. The elections are coming up in a couple of weeks as I said. And the results are very uncertain. And Netanyahu, he has all kinds of trouble within Israel for matters which have nothing to do with what we are talking about — I am talking about domestic issues, personality issues, charges of corruption and such. These are the big issues in the election. So, before the election, he is absolutely unable to do anything, which will endanger his position. After the election if he wins the election and if he wins big time and becomes strong enough, once again he might go along with a plan but as I said he is not the only one who is needed to go along with the plan now. The Palestinians and the Arab countries [are] involved and there is international cooperation needed as well. And for the time being, none of it seems to be endorsing. So, I am very pessimistic about the future of this plan. Sputnik: The US President Donald Trump denies having made his statement about the Golan Heights in order to help Benjamin Netanyahu gain more support in the upcoming election but in your view, what were the real reasons behind Trump's words about the Golan Heights? We know that historically Trump is very, very strong in terms of his support and favour for Israel for obvious reasons. I mean he is obviously doing his best to support Netanyahu but obviously, other people might be a bit indifferent to that. Prof Gabriel Ben-Dor: There is no question in my mind that as your question indicates — you are entirely right. I mean I think this was a statement to help Netanyahu win the election and the Israeli people are not entirely indifferent, although there are other issues at stake, which I have pointed out just now. I think that the US support on a very critical issue for Israel's security is considered a big boon for the state of Israel. 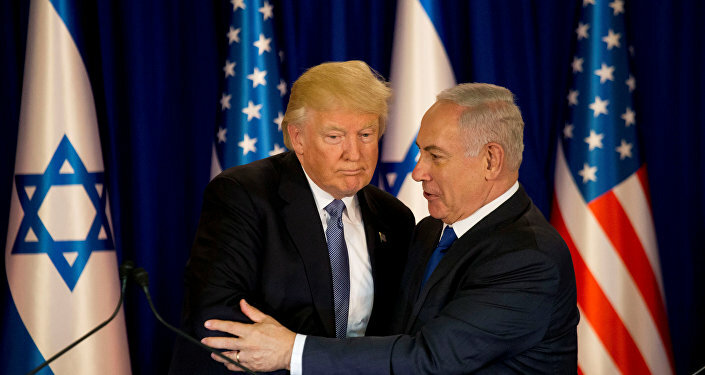 And if Netanyahu is given credit that it is his friendship with Trump, which has given Israel this particular benefit, I think he is going to get some points in the election. But as I said before it is not going to be the crucial issue. The real issue is rather a personality of Netanyahu, the corruption charges levelled against him and all that. This is really I think going to make the election a very close one, a very tight one and nobody really knows what the result is going to be. And we will have to wait and see another two weeks.